(June 21, 2016) New album! Erik Norlander - Surreal is the 7th studio album from the California keyboardist / composer. The album is now available here at the tank as well as from all the usual resellers. You can order the CD on the STORE page. (March 1, 2015) The Rocket Scientists - Looking Backward box set is now SOLD OUT and out of print. Amazon and some select dealers may still have some units available. (February 12, 2015) The US edition of the Rocket Scientists - Revolution Road CD is now SOLD OUT and out of print. There are still some copies available from a few independent prog retailers in the US and Europe as well a Japanese edition that is still in print. (February 24, 2015) The official video for "Regenerate" from the Rocket Scientists - Refuel album has been released on YouTube and Facebook. (January 20, 2015) The official video for "Galileo" from the Rocket Scientists - Refuel album has been released on YouTube and Facebook. (December 18, 2014) The official video for "It's Over" from the Rocket Scientists - Refuel album has been released on YouTube and Facebook. (December 16, 2014) The Rocket Scientists - Refuel CD is now available at Amazon and CD Baby with favorable international shipping rates. (December 9, 2014) The new Rocket Scientists - Refuel CD is now available here at the tank and also at fine prog retailers such as Kinesis, The Laser's Edge and Syn-Phonic in the US as well as Empire Music and Just for Kicks in Germany. (November 25, 2014) The official video for "She's Getting Hysterical" from the Rocket Scientists - Refuel album has been released on YouTube and Facebook. (November 18, 2014) The new Rocket Scientists - Refuel album is now available for digital download at Bandcamp in multiple formats. We love them for that! Also available at iTunes. The CD version will be released on December 9, 2014. You can pre-order the CD + digital download here and get the download NOW, then the CD will ship on December 9th. Or just pre-order the CD on its own if digital downloads are not your thing. The CD will also be available at CDBaby.com, Amazon.com and fine prog retailers everywhere. (November 18, 2014) The 2014 Rocket Scientists - Supernatural Highways Digipak CD EP is now just $10 here at the tank. Supernatural Highways is the companion release to the new 2014 Refuel album. If you enjoy one, you must get the other. (December 31, 2013) The Erik Norlander live release, The Galactic Collective - Live in Gettysburg, is now SOLD OUT. There are still copies available direct from Gonzo Multimedia here: UK / European Gonzo Store. US and Canada Gonzo Store. (December 13, 2012) The single CD edition of The Galactic Collective is now SOLD OUT. However, you can still get this title as part of the DVD/2CD set, The Galactic Collective - Definitive Edition. Many thanks for your great support of this project! (July 10, 2012) The long-awaited set, The Galactic Collective - Definitive Edition, is now available here at The Tank! The Galactic Collective - Definitive Edition is a DVD and 2CD set where Erik and band play the entire Galactic Collective album in the studio along with extensive interview material and a bonus featurette, "Behind the Wall of Doom." The companion "live version," The Galactic Collective - Live in Gettysburg (also a DVD/2CD set), continues to fly out of the door here at the tank. The official worldwide release date for both titles is August 6, 2012 when they will be available at fine retailers everywhere. Get them early here! (June 21, 2012) The new Erik Norlander live release is now available here at The Tank! The Galactic Collective - Live in Gettysburg is a DVD and 2CD set where Erik and band play the entire Galactic Collective album live along with several other favorites with guest vocalist Lana Lane and recorded at RoSFest 2011. The companion "studio version," The Galactic Collective - Definitive Edition (also a DVD/2CD set), is delayed at the manufacturing plant and will be here in early July. The official worldwide release date for both titles is August 6, 2012 when they will be available at fine retailers everywhere. (April 18, 2012) We are delighted to annouce two new DVD/CD sets from Erik Norlander in partnership with Gonzo Multimedia in the UK. The first set is The Galactic Collective - Definitive Edition which contains the original album on replicated CD along with a second CD of bonus material including a new studio recording of "Space: 1999" from the original 2009 Galactic Collective recording sessions (it wouldn't fit on the original release ...) plus a DVD of the entire original album shot live in the studio (you've seen the YouTube videos ...) along with extensive interview footage with Erik where he discusses each song's conception, evolution and re-imagining for this project. The second DVD/CD set is The Galactic Collective - Live in Gettysburg where Erik and band play the entire Galactic Collective album live along with several other favorites with guest vocalist Lana Lane and recorded at RoSFest 2011. (February 14, 2012) The Lana Lane - El Dorado Hotel album is now available for digital download on iTunes! (January 25, 2012) It's here!!! The new album from Lana Lane, El Dorado Hotel, is now shipping from Think Tank Media. You can listen to complete tracks from the album on the album page. The best quality 320k mp3 legal download of the album is also available at Reverbnation. Coming soon to iTunes. Enjoy! (January 9, 2012) We are very proud to announce the new album from Lana Lane, El Dorado Hotel. This is Lana's first album of new material in over 4 years. The worldwide release date is January 25, 2012. You can listen to two tracks in their entirety on the album page. More songs will be added to the player over the next weeks. (December 20, 2011) Something wonderful is coming in 2012 ... stay tuned! • The Think Tank Media (USA) version of the Lana Lane Covers Collection is now out of print, and we have no more stock of this title. We still have some remaining units of the out-of-print Euro Digipak version. The Avalon label Japanese version is now the only version that remains in print, but we do not plan to import any units. • We are now sold out of the Lana Lane Love is an Illusion Special Edition European thick 2CD box version (CDP-1079). That's the last of the out-of-print Pseudonym Records editions. We still have stock of the USA versions of all of the Lana Lane Special Edition titles. These are the same as the Euro versions except that the USA versions are packaged in a 2CD Slimline case (same thickness as a single CD case) instead of the older style thick 2CD case. • We are also sold out of the Japanese imports of Lana Lane - Garden of the Moon and Rocket Scientists - Oblivion Days. These two titles are still in print on the Avalon label in Japan, but we will not be importing any future units now that there is a Think Tank Media alternative edition (Garden of the Moon Special Edition 2CD and Looking Backward box set with a remastered version of Oblivion Days). • Note that all titles remain available for legal download on iTunes and ReverbNation. (October 17, 2010) New videos from The Galactic Collective: Dreamcurrents and Garden of the Moon. See all the released videos from The Galactic Collective as well as older performances from Erik Norlander and Lana Lane on the Think Tank Media YouTube Channel. (August 5, 2010) The latest edition of The Passing Parade, our aperiodical newsletter, has been published. Issue # 14. (August 4, 2010) We are now sold out of the Lana Lane - Curious Goods Special Edition European thick 2CD box version (CDP-1081). We still have some limited stock of one remaining title, Lana's debut, Love is an Illusion Special Edition, in the thick 2CD box which remains at the special $9.99 price while our supply lasts. If you're interested in purchasing this last available title in this format, please don't wait too long as it will be gone forever soon. (August 4, 2010) NEW VIDEO! Erik has just published his new video for "Trantor Station" from his new CD, The Galactic Collective. See it on YouTube or on the album page here at The Tank. (June 16, 2010) The latest edition of The Passing Parade, our aperiodical newsletter, has been published. Issue #13. (June 15, 2010) NEW VIDEO! Erik has just published his new video for "Astrology Prelude" from his new CD, The Galactic Collective. See it on YouTube or on the album page here at The Tank. (May 1, 2010) Expanded International Shipping. In response to many requests, we have expanded our international shipping options to now allow shipping to all worldwide destinations. We still encourage international buyers to order from CD Baby or if you are in Europe, from Empire Music in Germany, as they can provide better shipping rates than we can. But if you can't find a specific title at those shops or want to order directly from us, we can now offer this service. Please see the online store page for more details. (April 9, 2010) Erik's new CD, The Galactic Collective, is now in stock here at The Tank and currently shipping! (April 3, 2010) Erik would like to thank all who attended his CD release concert for The Galactic Collective in Euclid, Ohio on March 27th. Special thanks to the musicians, Freddy, Nick and Mark, lightshow guru Jim, sound company chief Crazylegs, publicity help from Eric, Sandy and Randy, Dan and the guys in Pink Droyd for a Floyd set straight from the heart of the sun, all those who came in from out of town and traveled far, and most importantly, promoter / concert producer Dena Henry for her ongoing support and loyalty. (January 24, 2010) Erik Norlander will play a special concert in Euclid, Ohio (near Cleveland) on March 27, 2010 to launch his new CD release, The Galactic Collective. Joining Erik will be the extaordinary Ohio musicians, Freddy DeMarco (g), Mark Matthews (b) and Nick LePar (d). More details on the tour dates page. (January 24, 2010) Erik Norlander announces his new project, The Galactic Collective, with the first title set for release in March 2010. 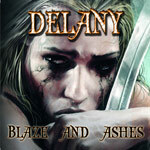 (January 10, 2010) Lana Lane contributed lead vocals to three songs on the new concept album, Delany - Blaze and Ashes, produced her cousin, Davy Vain, and based on a vampire novel by German author Wolfgang Hohlbein. The album is released by MusicBuyMail in Germany. (January 9, 2010) We are now sold out of the Lana Lane - Ballad Collection Special Edition European thick 2CD box version (CDP-1078). Thanks to all who took advantage of our special pricing on this title. We still have some limited stock remaining of the Euro versions of Curious Goods Special Edition and Love is an Illusion Special Edition in the thick 2CD box which all remain at the special price while supplies last. If you're interested in purchasing one of these title, please don't wait too long. (December 29, 2009) Erik Norlander has a posted a thorough 2009 Retrospective on his new Facebook page with in-depth photo journalism covering his year's activities with Rocket Scientists, Lana Lane, Roswell Six, Big Noize, ASIA Featuring John Payne and The Bob Moog Foundation. (December 4, 2009) Erik Norlander has a new Facebook page with lots of photos. Please stop by and have a look! (July 25, 2009) Erik Norlander has completed the July USA tour dates with ASIA featuring John Payne. More tour dates to follow in August and September. Please see the ASIA featuring John Payne web site for details. (July 10, 2009) Erik Norlander performed a 90-minute instrumental solo set at The Ingenuity Festival in Cleveland, Ohio backed by trio of Ohio musicians. The concert was produced by Dena Henry and Chian Promotions. (June 1, 2009) The Roswell Six - Beyond the Horizon CD is now shipping. Available at ProgRock Records at major retailers around the world. (June 1, 2009) Erik Norlander completed the very successful Big Noize tour in Europe and has resumed touring in the USA with ASIA featuring John Payne. (May 12, 2009) Erik Norlander will be performing at 7 concert dates in Spain with Big Noize, the new project of Joe Lynn Turner (Rainbow, Deep Purple), Phil Soussan (Ozzy, Dio), Simon Wright (ACDC, UFO) and Carlos Cavazo (Quiet Riot). Please see the Big Noize MySpace page for details. (May 12, 2009) We are now sold out of the Lana Lane - Garden of the Moon Special Edition European thick 2CD box version (CDP-1080). Thanks to all who took advantage of our special pricing on this title. We still have some limited stock remaining of the Euro versions of Curious Goods Special Edition and Love is an Illusion Special Edition and Ballad Collection Special Edition in the thick 2CD box which all remain at the special price while supplies last. If you're interested in purchasing one of these title, please don't wait too long. (May 12, 2009) Thanks to all who attended the Rocket Scientists concert at The Winchester in Lakewood, Ohio on May 28th. The band had a great time and really enjoyed the show. Special thanks to Dena Henry at Chian Promotions, Jim Mileti at The Winchester and David DeFelice at NASA for all their help and support! (March 14, 2009) The latest edition of The Passing Parade, our aperiodical newsletter, has been published. (March 14, 2009) THE BIG SHOW in Cleveland, Ohio on March 28, 2009. Okay, it's technically "Lakewood, Ohio", but close enough! This will be a very special event at The Winchester, the same venue where Rocket Scientists played last March (photos here: http://www.thetank.com/photo-winchester-mar08.htm). Rocket Scientists will perform along with special guest vocalists Lana Lane and John Payne. The event is also in celebration of the NASA 40th Anniversary of the Apollo Moon Landing. Our friend Michelle Moog - Koussa, Executive Director of The Bob Moog Foundation will again be the evening's master of ceremonies. Details on the Tour Dates page. (February 7, 2009) El Dorado Hills, CA - Symphonic rock's Erik Norlander and Lana Lane have joined forces with internationally bestselling author Kevin J. Anderson (Dune novels with Brian Herbert, Star Wars and X-Files novels) for a groundbreaking crossover novel and progressive rock recording project titled Terra Incognita. Anderson has created an incredible fantasy universe with sailing ships, sea monsters, and the crusades. Erik Norlander, an accomplished keyboardist/composer and a founding member of progressive rock band Rocket Scientists, joined the project upon its inception to pen the music and produce the recording after a meeting with Anderson and Shawn Gordon of ProgRock Records. Norlander's wife, Queen of Symphonic Rock Lana Lane, was recruited as the lead female vocalist. "The 'Terra Incognita' project is really the perfect convergence of spirits," affirms Norlander. "I have been a fan of Kevin's novels for some time, and Kevin enjoys many of the CDs I've produced. Normally we would have a hard time collaborating as we really work in different media. But we found a common link in ProgRock Records chief, Shawn Gordon, with whom I have worked for several years as both my label distributor and general comrade-in-arms. Shawn brought us all together for a lunch meeting last year, and that was the catharsis for this excellent project. This is surely a unique exercise in mixed media, and I'm thrilled to be involved." Other Terra Incognita vocalists include James LaBrie (Dream Theater) and Michael Sadler (ex-Saga). Additional musicians include David Ragsdale (Kansas), Gary Wehrkamp (Shadow Gallery), Chris Quirarte (Prymary), Kurt Barabas (Under the Sun), Mike Alvarez (Erik Norlander CDs), and Chris Brown (Ghost Circus) with Shawn Gordon (ProgRock Records) as executive producer. Collectively, this creative team has sold over 40 million units worldwide. Terra Incognita is a synergistic project unlike anything ever seen in the publishing and music business - an original novel and original CD from the same author. Anderson developed and expanded one of the novel's storylines to form the basis of an epic rock CD under the band name Roswell Six. He and his wife, bestselling author Rebecca Moesta, wrote all of the lyrics to the songs. Terra Incognita is available now for pre-sales through ProgRock Records. The CD will ship in late April and the novel titled Terra Incognita: The Edge of the World by June. Street date for brick and mortar retailers is June 2, 2009. Special bundling and discounted offers will also be available on the ProgRock site along with a limited amount of autographed copies. For interviews or more info, please contact Sandy Serge, Serge Entertainment PR, phone 678-445-0006, email: SergeEnt (at) aol (dot) com. (January 20, 2009) Happy Birthday Lana Lane! (October 31, 2008) Today we have launched a new web store on thetank.com. We are now using Paypal Secure Payments for credit card processing. We hope the system will be more flexible and user friendly for our visitors. Please give it a try! As an incentive, we have reduced the prices on most titles in web store by $2. This discount pricing will remain in effect until the holidays, so please take advantage of this opportunity to complete your Lana Lane, Erik Norlander and Rocket Scientists collection. If you experience any trouble with the web store, please send an email to payments (at) thetank (dot) com. We will appreciate hearing from you! (October 31, 2008) We have just received our import stock from Japan of the new Lana Lane 2CD release, Best of Lana Lane 2000 -2008. This import - only title is available now in the new web store! (October 9, 2008) The latest edition of The Passing Parade, our aperiodical newsletter, has been published. Oh, and there are super cool new Rocket Scientists t-shirts available, too. (October 6, 2008) We have special pricing on the out-of-print European Pseudonym Records versions of the 2CD Lana Lane Special Edition titles (Ballad Collection, Love is an Illusion, Curious Goods and Garden of the Moon) along with the European Transmission Records Digipak version of Lana's Covers Collection. This dicsount price available while our stock lasts. Please visit the order page for more information. (September 1, 2008) Erik, Lana, Mark, Don, Jim and Chris would like to thank all of visitors to the Rocket Scientists shows at the 3 Rivers Prog Fest in Pittsburgh and at the Tralf Music Hall in Buffalo in August. Special thanks to Howard Levy and Dena Henry for making these great gigs happen! Photos coming soon. (July 25, 2008) We have posted two great new photo galleries from the May and June Rocket Scientists concerts in the UK and in San Francisco in our photo gallery. (May 21, 2008) We have posted two new photo galleries from the recent March 2008 Rocket Scientists concerts at Baja Prog XII and The Winchester Theater in our photo gallery. (May 21, 2008) Rocket Scientists will perform at the Bay Area Rockfest on June 27, 2008 in San Francisco, California. Details on the tour dates page and on the festival's MySpace page. (May 21, 2008) Photos and reviews have been found from the GPS set at ROSFest 2008 where Erik Norlander performed as the band's guest keyboardist. (April 22, 2008) Erik Norlander will perform with GPS at ROSFest 2008 as the band's guest keyboardist. (April 22, 2008) We have posted press clips for the new Rocket Scientists - Looking Backward multimedia box set here. (April 6, 2008) New concert dates for Rocket Scientists have been posted on the tour dates page including the band's appearance at The Power Prog Festival (NY) and The Three Rivers Prog Fest (PA). Lana Lane will be appearing with the band at both of these festivals as well as at the Rotherham Rocks Festival in the UK. Warm thanks are sent to all who attended the Rocket Scientists shows at Baja Prog XII and at The Winchester Theater in Cleveland, OH in March. The band had a great time at both events. Special thanks to the concert promoters, Alfonso Vidales and Dena Henry, for a wonderful job making these events happen. (December 20, 2007) The Rocket Scientists - Looking Backward multimedia box set has been shipping this week. Thanks for all of the early orders! We have also uploaded the first audio CD, "Looking Backward: The 2007 Sessions", to Mindawn for legal download. New Keyboardist Joins "Asia Featuring John Payne"
John, Jay and Guthrie are pleased to officially announce that the band lineup has finally been completed with the addition of keyboard wizard par excellence Erik Norlander. Erik?s evocative synthesizer technique and style is reminiscent of the legendary Rick Wakeman, Keith Emerson and Jon Lord while still creating a very unique musical voice of his own. Erik has stayed active with his own solo releases and his Rocket Scientists project, and he also produces, performs and writes with his wife, Lana Lane, for her highly regarded solo albums. Vocalist John Payne adds, "We know that the keyboard position is extremely critical to this band and therefore much time was invested to find the right person and all roads lead us to Erik." The band has commenced recording the much-anticipated album "Architect of Time" to be released in 2008. Red Entertainment is currently booking worldwide tour dates. (November 19, 2007) mp3 samples of the all of songs from the forthcoming Lana Lane album, Red Planet Boulevard, have now been posted. Listen to them here. (October 27, 2007) mp3 samples of the first three songs from the forthcoming Lana Lane album, Red Planet Boulevard, have been posted. Listen to them here. (October 27, 2007) Electronic Musician magazine has posted a feature on Moogfest 2007 in New York City which includes brief interview and performance excerpts from Erik Norlander's set there. See it here. (October 24, 2007) Lana Lane has announced her new studio album for 2007 entitled Red Planet Boulevard. Read about it here! (October 10, 2007) Read Jill Hughes' review of Erik Norlander's performance at Moogfest 2007 at the USA Progressive Music site. (September 18, 2007) THE PASSING PARADE, Issue #4, September, 2007. The latest issue of our newsletter has been published and distributed. The newsletter index to all of the issues is here. (July 28, 2007) Rocket Scientists will release a box set called Looking Backward, a 5-disc collection containing remastered versions of their first three studio albums, Earthbound, Brutal Architecture and Oblvion Days, along with a 4th audio CD of new recordings of classic Rocket Scientists songs reinterpreted by the band in 2007. The 5th disc is a DVD-9 containing video of the 2007 sessions along with extensive interviews and historical archive footage from sessions going back to 1993. The band has posted an advance video of the song "Earthbound" on YouTube. The box set will be released in October 2007. Update November 27, 2007: the release date has been delayed until late December 17, 2007 due to manufacturing issues. (July 28, 2007) Erik Norlander will perform at Moogfest in New York City on September 22, 2007. Details on the Tour Dates page. (May 22, 2007) THE PASSING PARADE, Issue #3, May, 2007. The latest issue of our newsletter has been published and distributed. The newsletter index to all of the issues is here. (May 15, 2007) We have added a photo gallery from the Rocket Scientists performance at the 2007 Rites of Spring Festival (aka ROSFest) in Pennsylvania. (May 3, 2007) Rocket Scientists have returned home after concluding their tour at the Rites of Spring Festival (aka ROSFest) in Pennsylvania. The band had a fantastic reception at the festival, and the musicians would all like to thanks the organizers, staff and attendees. See you again soon! (April 22, 2007) Review excerpts have been posted for the Lana Lane - Gemini and Erik Norlander - Hommage Symphonique albums on their respective pages. (April 18, 2007) Lana, Erik, Mark and Don would like to thank all their friends and fans who attended the Rocket Scientists and Lana Lane concerts in Europe this month. For those in the US Northeast, see you at ROSFest on April 28th! (March 13, 2007) THE PASSING PARADE, Issue #2, March, 2007. The latest issue of our newsletter has been published and distributed. The index to all of the issues is here. (March 12, 2007) Mark McCrite has launched his official MySpace page. Check it out here. (March 11, 2007) We have added a whole bunch of photos to the eriknorlander.com web site. Check out the expanded photo gallery there as well as the equipment pages. (March 9, 2007) The final tour dates for Rocket Scientists and Lana Lane European Tour have been posted on our Tour Dates page. See you next month! (March 9, 2007) Don Schiff appears live in April with Rocket Scientists in Europe and the USA with the gracious support of Stick Enterprises. This California Stick manufacturing and marketing corporation was founded by musician/inventor Emmett Chapman, creator of the legendary Chapman Stick as well as the more recent NS/Stick, a design collaboration between Emmett and Ned Steinberger. Emmett discovered and created the unique "Stick" two-handed tapping method on his 9-string guitar in 1969. It was a totally new way of playing on strings - fingers of both hands aligned parallel to the frets and to each other, each hand approaching the fretboard from opposite sides. This technique has now been in use for nearly 40 years by Stick players and also by those tapping guitarists and bassists who align both hands at right angles to the neck and strings. Don became one of Emmett's first students in 1975 and quickly rose to band performance level on Stick from a professional bass player's perspective. The student then began to inspire the teacher to new heights as Don applied his funky left-hand bass rhythm concepts to Emmett's powerful tapping technique. More information at http://www.stick.com. (February 3, 2007) The readers of Sea of Tranquility have voted Rocket Scientists - Revolution Road the "Best CD of 2006". The band wishes to send its heartfelt gratitude and warm thanks to all who voted for them! (February 3, 2007) We have added audio previews for all of the songs on the Don Schiff - Peering Over Clouds CD. (February 3, 2007) More European tour dates for Rocket Scientists and Lana Lane have been added to the Tour Dates page. (January 16, 2007) THE PASSING PARADE, Issue #1, January 15, 2007. Our first newsletter has been published and distributed. The index to all of the issues is here. (January 14, 2007) We have released the Erik Norlander and Friends - Live in St. Petersburg audio tracks for digital download on Mindawn.com including 4 exclusive bonus tracks that do not appear on the included audio CD nor on any other digital download site. Read the details on the DVD product page or the Mindawn page for this title. (January 8, 2007) We have launched the new Think Tank Media Music channel on YouTube.com featuring full - length songs from our various DVDs and Enhanced CDs. Please stop by and have a look! Our email and web addresses remain unchanged. (December 7, 2006) We have added some recent media reviews to the pages for Rocket Scientists - Revolution Road and Erik Norlander and Friends - Live in St. Petersburg. (November 22, 2006) They're now here in stock at the tank and available for advance purchase: Lana Lane - Gemini and Erik Norlander - Hommage Symphonique. Click here to jump to the Order Page. (November 11, 2006) We have added mp3 previews for the two new covers albums from Lana and Erik: Lana Lane - Gemini and Erik Norlander - Hommage Symphonique. (October 21, 2006) Lana Lane and Erik Norlander have just completed a pair of covers albums for release this winter. Following in the fine tradition in Japan of releasing a Lana Lane "specialty album" every two years, now for 2006, Lana and Erik have recorded not one but two albums for the winter season. The first album is Lana Lane - Gemini, an album of classic rock covers from the 60s and 70s featuring the guest musicians Vinny Appice (d), Tony Franklin (b), George Lynch (g), Mark McCrite (g, v) and Erik Norlander (k) and Kelly Keeling. Gemini is the astrological symbol for twins, and since this is Lana's second album of all covers, the album carries the theme of "two" throughout. The second album is Erik Norlander - Hommage Symphonique, an album of progressive rock covers recorded by Erik along with Gregg Bissonette (d), Don Schiff (b), Mark McCrite (g) with Kelly Keeling handling all of the vocal duties. To create a real orchestral feel, Erik employed a small ensemble of acoustic instruments featuring Jon Pappenbrook (trumpets flugelhorn), Eric Jorgensen (trombones), Mike Alvarez (cello) and David Schiff (woodwinds). Both albums will be available simultaneously in December 2006. (October 6, 2006) New pages for Rocket Scientists have been added to the site including a homepage for the band. We have also added mp3 samples for the new Revolution Road album. (September 29, 2006) The forthcoming Rocket Scientists - Revolution Road album is featured on the cover and ranked "CD of the Month" in the September 2006 issue of EMPIRE magazine in Germany. http://www.empire-music.de/. (September 13, 2006) Erik Norlander is featured in the September 2006 issue of KEYBOARD magazine in the USA. keyboardmag.com. (August 31, 2006) mp3 preview files have been to added to our Audio Files page for the new DVD Erik Norlander and Friends - Live in St. Petersburg. (July 26, 2006) The new DVD Erik Norlander and Friends - Live in St. Petersburg is now here at the tank! It contains over 2-1/2 hours of concert and documentary footage including additional performances from western Europe and the USA. Starring the extraordinary band of Kelly Keeling (b, v), Lana Lane (v), Peer Verschuren (g), Ernst Van Ee (d) and of course Erik Norlander (k). (July 9, 2006) Rocket Scientists would like to thank all the fans who attended the Cal Prog festival this weekend as well as the organizers. The band is grateful for another excellent Cal Prog experience and for the opportunity to debut some of the new material from the forthcoming Revolution Road CD. (June 21, 2006) Rocket Scientists have launched their MySpace page including a sample track from the forthcoming CD, Revolution Road, along with photos from the studio sessions. (June 14, 2006) The Return of Rocket Scientists! New CD coming in the fall. Here is the link to the official press release. (May 13, 2006) Erik Norlander and Lana Lane have announced their official page for MySpace.com. You can find it here: http://www.myspace.com/eriknorlanderandlanalane. The audio files on the page are all live tracks, and some hard-to-find versions are presented for your listening enjoyment. (January 23, 2006) We have found a box of Lana Lane 10th Anniversary Tour t-shirts in our warehouse containing some Size L shirts. They have been added to the order page as part of the special offer bundle. As with all of these t-shirts, once they're gone, they're gone! (January 10, 2006) We have updated the Sampler CDs page with detailed descriptions of the Think Tank Media Sampler Volume Three and Volume Four discs. (December 2, 2005) The much-anticipated Lana Lane 10th Anniversary Concert DVD is now here and available at the tank for advance purchase with immediate shipping. The official US release dates is January 2, 2006, but you can get yours now with this advance purchase program. Tour t-shirts are also available on the order page as a bundle with the DVD. (November 4, 2005) We are very pleased to announce the forthcoming release of the Lana Lane 10th Anniversary Concert DVD. A bonus audio CD of the concert will also be included in the package. Release dates are November 23, 2005 (Japan), January 1, 2006 (USA), March 2006 (Europe). An advance purchase program will be offered in December through this web site. Please check back for updates! (November 4, 2005) We have greatly expanded the photo gallery from the Lana Lane 10th Anniversary Concert at Shibuya O-East in Tokyo, Japan from June 30, 2005 with new images from the official event photographer. Please have a look! (August 31, 2005) We have added a new photo gallery for the Erik Norlander Trio 2004 USA Tour, and we have also posted some newly found photos from Erik's rehearsal sessions for his appearance at the Cal Prog 2004 Festival to that gallery as well. Please have a look! (July 4, 2005) Lana and Erik would like to thank all the great fans and friends that attended the Lana Lane 10th Anniversary Tour concerts in Europe and Japan! A DVD of the final concert in Tokyo is planned for release later this year. (April 20, 2005) The new Think Tank Media Sampler Volume Four CD is now shipping with the latest issue of Progression magazine. A fully packaged version with jewel case, tray card and booklet is also available here at the tank starting on Tuesday, June 21, 2005. The packaging sans CD is also available for Progression readers that want to complete their edition with the booklet, jewel case and tray card (sorry, it was too expensive to include the complete packaging free with the magazine!). (May 27, 2005) We are proud to annouce the new prog rock solo CD from Don Schiff produced by Erik Norlander especially for Think Tank Media. Peering Over Clouds is the latest effort from the Stick virtuoso who is known for his work with Lana Lane, Erik Norlander and Rocket Scientists. And he even played with Elvis, too. Yes, really! Peering Over Clouds is a progressive rock instrumental CD featuring Don on the NS/Stick and Greg Ellis on percussion. Included songs are a new version of Don's "Under the Olive Tree" (first heard on Lana's Garden of the Moon album) and Don's new cover of "A Whiter Shade of Pale". Over 70 minutes of music. Peering Over Clouds features cover art from Jacek Yerka and the usual high audio quality you expect from a Think Tank Media release. Available here at the tank on Tuesday, June 1, 2005. (February 12, 2005) The new studio album from Lana Lane is called Lady Macbeth, a heavy symphonic concept album based on the play by vanguard English poet William Shakespeare. Lana Lane - Lady Macbeth will be released in April, 2005 and features a brilliant ensemble of musicians from Europe and the USA. The album is the first release for Lana's 10th anniversary year - 10 years since her debut release appeared in 1995. More info coming soon! (February 12, 2005) We have updated our photo gallery with pictures from the September 2004 Lana Lane and Erik Norlander visit to Hamburg, Germany. Click here to take a look! (February 12, 2005) Lana Lane will appear at the Sweden Rock Festival on June 10, 2005. More info on the tour dates page. (February 11, 2005) We have repaired a linking problem with the mp3 sample files for the Lana Lane - Return to Japan CD. We apologize for the inconvenience. (January 27, 2005) Message from Erik Norlander: "Thanks to all who attended our concert at Cal Prog Night II at Steamer's in the OC last night.We had a great time, and Terence and Jim did a fantastic job of hosting the show. See you again soon!" (January 12, 2005) As part of the Cal Prog Nights concert series, Erik Norlander and Friends will play a very special show at Steamer's in Fullerton, California on January 26, 2005. This is a reprisal of the summer 2004 Erik Norlander Trio tour along with some additional great musicians. Joining Erik will be Lana Lane, Kelly Keeling, Vinny Appice, Mark McCrite, Don Schiff, Mike Alvarez and the famous "Wall of Doom". Details on the tour dates page. (January 11, 2005) We have updated our photo gallery with LOTS of pictures from the October 2004 Lana Lane and Erik Norlander concert in Weert, Holland. Click here to take a look! (November 22, 2004) We have added mp3 files from the following Lana Lane CDs to our audio files page: Return to Japan, Project Shangri-La, Ballad Collection Special Edition and Secrets of Astrology. Click here to jump to the page. (November 14, 2004) We have updated our photo gallery with pictures from the Lana Lane and Erik Norlander concerts in Madrid and St. Petersburg on their 2004 European Tour. Click here to take a look! More photos coming soon. (November 3, 2004) We have updated our photo gallery with pictures from the Lana Lane and Erik Norlander concert at Spirit of 66 in Verviers, Belgium on their 2004 European Tour. Click here to see it! (November 2, 2004) We have updated our photo gallery with pictures from Erik Norlander's solo perfomance the July 2004 Cal Prog Festival. Click here to take a look! (September 6, 2004) Our office will be closed from September 7 - October 20, 2004 due to the Lana Lane and Erik Norlander 2004 European Tour. Our order system will be offline during this time. In the meantime, please order from any of our many great mailorder retailer partners. A contact list is available at the link to the order page. Our order system will go back online on October 21, 2004. (August 28, 2004) We are pleased to announce the brand new studio album from Erik Norlander. Seas of Orion is an all-instrumental electronic effort from Erik commissioned by Quantum Records in the Netherlands and scheduled for release at the Dutch Alfa Centauri Electronic Music Festival on September 11, 2004 which Erik will headline. The US release is scheduled for October 25, 2004. (August 13, 2004) Erik, Lana, Kelly and Vinny would like to thank all who attended and promoted the east coast dates for The Erik Norlander Trio. Message from Erik Norlander: "We were given quite a warm reception, and I'm not just talking about the humidity! ;-) We had a truly great time and really appreciated the enthusiasm and hospitality offered by all. We're all looking forward to returning to the east for future concerts." We still prefer that our listeners purchase the actual CDs, but for those that are into electronic delivery, these sites are legitimate and authorized resellers of our music. Royalties from the download purchases will indeed get to the artists and authors. (July 23, 2004) Message from Erik Norlander: "The Wisconsin Rock Fest was also a big success. The festival was really well organized and we were treated extremely well. Wisconsin is an absolutely beautiful state. Between this festival and our Cal Prog appearance, we're starting to get spoiled!" See The Erik Norlander Trio live on the east coast from MA down to NC starting next week. Visit the tour dates page for details. (July 4, 2004) Message from Erik Norlander: "Many thanks to all who attended our concerts at Paladino's and Cal Prog Day this week. I'd like to send an extra big thank you to Papa Jim Harrel for the tireless work put into the Cal Prog festival. It was a big success. Kudos, Jim!" (July 1, 2004) The Erik Norlander Trio (Erik, Kelly Keeling and Vinny Appice) will be playing a 60-minute set at the Chippewa Valley Rock Fest in Wisconsin on Friday, July 16, 2004. Lana Lane will make a special appearance as well. They are the first act of the day, going on at 12:00 noon. Lots of other great bands are performing at this festival (Styx, Allman Brothers, Judas Priest, etc.). Please check out the tour dates page for more info. (June 21, 2004) More European tour dates have been added for September - October 2004. (June 3, 2004) Coming this summer: Erik Norlander will be touring in the U.S. Northeast and Southwest with Vinny Appice (drums) and Kelly Keeling (vocals, bass). The band will be billed as The Erik Norlander Trio. Keep an eye on the tour dates page for concert dates. (June 2, 2004) The new Lana Lane titles Return to Japan (CD) and Storybook: Tales from Europe and Japan (DVD) were released yesterday, June 1st, here at the tank. This may have been our biggest first day or release yet. Thanks to everyone who ordered right away! (May 21, 2004) Lana Lane has signed with Frontiers Records (Italy) for the European release of her new titles, Return to Japan (CD) and Storybook: Tales from Europe and Japan (DVD). The titles will be released in Europe on July 12, 2004. The European DVD will be PAL format, Region 0, and the CD booklet and track listing will be identical to the Japanese and North American versions (no bonus tracks anywhere). You can read the Frontiers press release here. (May 10, 2004) The discographies have been updated for lanalane.com and eriknorlander.com. Both sites also now have a tour dates link installed on their home pages. (May 6, 2004) We are very proud to announce the release of the long awaited and much anticipated DVD and double live CD from Lana Lane. The Storybook: Tales from Europe and Japan DVD and Return to Japan CD will be available here at the tank on June 1, 2004. DVD is Region 0 for worldwide compatibility with NTSC players. Region 0 PAL version coming in July. (April 22, 2004) We have added a permanent tour dates page that will list all the coming appearances of Erik Norlander and Lana Lane. The page will be updated regularly as concerts are added. (April 22, 2004) Erik Norlander will play a solo set at the first annual Cal Prog Day event in Whittier, California on July 3, 2004. Special guest appearances are a possibility. With excellent organization and serious promotion already underway, this promises to be a great festival in a very nice theater setting. Lots of details at http://www.calprogday.com. (April 22, 2004) Earlier this week our home page was down due to some server problems. The problems have now been corrected, and we apologize for the inconvenience. (March 7, 2004) We have added mp3 preview files for the Erik Norlander - Threshold Special Edition CD to our happily burgeoning audio files page. (January 27, 2004) We are proud to announce the release of the deluxe 2CD reissue of Erik Norlander's debut CD, Erik Norlander - Threshold Special Edition. The album has been remastered and contains 10 (!) bonus tracks along with a Quicktime video. Now available and in stock here and the tank! (January 20, 2004) Happy Birthday Lana Lane! (January 5, 2004) We have arranged for another great catalog buy. We are delighted to now offer the Brazilian import version of Lana Lane - Project Shangri-La at a nice low price. This version is identical to the Japanese version, except that this version has full-color printing on the disc. Please visit the Order Page page for details. Highly recommended! (January 2, 2004) Happy New Year 2004! We have added mp3 preview files for Lana Lane - Winter Sessions and Lana Lane - Project Shangri-La to our audio files page. Stop by and have a listen! (December 12, 2003) We are pleased to announce a great discounted price on the Brazilian version of the Erik Norlander - Into the Sunset CD. We made a special buy and are happy to pass on the savings! This version is identical to the European version and has the same full-color booklet and full-color CD printing. We have also further lowered the price of the two Ayreon albums from 2000 that feature Erik and Lana as part of our stock clearance. (December 10, 2003) New shipping rates are now in effect. Please consult the Shipping Rates chart or calculate your total on the Order Page before submitting your order. Shipping to some destinations such as Germany, Holland, Belgium and France is actually cheaper now in quantities of 1-3 units. We have also reduced our shipping rates to Canada. - September 23, 2004: Lana Lane and Erik Norlander will play a full band concert for the 20th anniversary of the Uriah Heep Fanclub "Stay on Top" at The Markthalle Marx in Hamburg, Germany. The festival is called "Circle of Friends", and it will go from September 23 - 25, also featuring Ken Hensley and John Lawton. Lana, Erik, Ken and John are planning to make guest apperances in each other's sets. More info at www.syla-event.de, venue information at www-markthalle-hamburg.de. More European dates for the Fall of 2004 are expected to follow. Please stay tuned. (December 4, 2003) Our new Shipping Rates chart is now online. These prices go into effect on December 11, 2003. Orders received prior to that will be shipped at the old rates. All good things must come to an end. Our shipping rates are going up effective on December 11, 2003. After 10 years of free shipping within the USA, we will finally start charging actual USPS First Class mail prices for all domestic orders (for example, one CD costs $1.29 to mail). International shipping prices will increase for certain countries and decrease for others -- a chart will be posted soon showing the new rates for each destination. If you live in Germany or The Netherlands, for example, your prices for small orders will actually go down a bit. For everyone else, particularly our US customers, we are sorry for this change, but our discounted shipping policy has simply become too expensive to maintain.We hope you will understand our decision. We will continue to offer you the lowest possible price on the CD titles themselves. (December 1, 2003) The fabulous new Lana Lane - Winter Sessions CD is now in stock here at the tank. Yeah! (November 1, 2003) We are very proud to announce the new Lana Lane - Winter Sessions CD, the incredible new studio album from our own symphonic rock diva. This title will be available here at the tank on December 1, 2003, with pre-orders accepted starting in early November. All versions of the album contain the identical track listing (no bonus tracks) and a full-color 20-page full color booklet with lyrics, liner notes and photos. (August 4, 2003) The limited edition Lana Lane and Erik Norlander European Tour 2003 Souvenir CD is now available here at the tank. The Digipack contains several unreleased live tracks. (August 3, 2003) Our Photo Gallery has been updated with images from the Lana Lane and Erik Norlander 2003 European Tour. Thanks to all who attended these fantastic concerts! (August 3, 2003) The new Erik Norlander - Music Machine double CD is now available here at the tank. All versions of the album contain the identical track listing (no bonus tracks) and a deluxe 32-page full color booklet. I am deeply saddened to report that our friend Shaun Guerin died yesterday, July 17, 2003. I received a phone call from Mark McCrite this morning with the news. Shaun was one of the most kind, positive and talented people we have known, and we will all miss him greatly. Only just last week I was talking to Mark about how much I enjoyed our Fall '02 Rocket Scientists gigs and rehearsals, and specifically how great it was to play with such a fantastic group of people, Shaun being the most recent member. We all know that Shaun was a top-notch drummer and all-around renaissance man musician, but his warm spirit and always positive attitude was a powerful presence. This news is a horrible shock to us all, and it is a great loss not only to the prog community, but to the world. With all of the terrible things happening around the globe today, we really need more people like Shaun. I feel it's an understatement, but nevertheless let me say that Shaun will be greatly missed. May his memory endure. (July 2, 2003) The Lana Lane and Erik Norlander 2003 European tour was a great success -- Lana and Erik wish to thank the fantastic band, crew and all who attended. Photos are now coming in and will be posted here on the tank shortly. (May 21, 2003) The US and European release dates for the Erik Norlander - Music Machine album have been delayed due to some unexpected manufacturing difficulties. The new release date for both versions is June 6, 2003. We apologize for the delay! (May 19, 2003) Vocalist Kelly Keeling will join Lana and Erik on all dates of their June Euro tour. Kelly is the main vocalist on the new Erik Norlander - Music Machine album and has sang with the bands MSG, Blue Murder, Heaven and Earth, Baton Rouge, etc. Kelly will be singing tracks from the Music Machine album as well as other Erik Norlander songs, and he will join Lana on the Lana Lane material for some earth-shaking harmonies. Click here for info! (February 25, 2003) All versions of the Erik Norlander - Threshold CD are now out of print, and our remaining stock has been exhausted. A small cache of American pressings is still available from the Kinesis label, http://www.kinesiscd.com, while supplies last. A Think Tank Media reissue is planned for later this year. (January 30, 2003) The Lana Lane Covers Collection is now available here at the tank! Click here to order. (January 19, 2003) The North American release date for the Lana Lane Covers Collection has been delayed by 10 days due to a publishing license issue. Think Tank Media is firmly committed to paying all appropriate royalties, and at the last minute we discoverd an error with one of the song licenses. The album will now be released on January 30, 2003. We apologize for the delay! (November 7, 2002) Our Photo Gallery has been updated with images from the Rocket Scientists October 27, 2002 concert at the Thousand Oaks Civics Arts Plaza in Southern California. (October 29, 2002) Rocket Scientists will play another special concert in Southern California, this time as the hosts of the ProgWest Pre-Festival FREE concert in Claremont on November 8, 2002 starting at 8:30 PM. The band will play at the Claremont Inn Bar & Grill located at 555 W. Foothill Blvd. in Claremont, CA. The phone number there is 909-626-2411. More info at Progwest.com. (September 20, 2002) Our Photo Gallery has been updated with images from the Lana Lane and Erik Norlander April 24, 2002 concert at the Troubadour in West Hollywood, California and also from the February Lana Lane Acoustic Live 2002 concert in Tokyo, Japan. (September 20, 2002) A new German review for the Lana Lane - Project Shangri-La album has been posted on our reviews page. (August 20, 2002) Rocket Scientists will play a special concert in Thousand Oaks, California on October 27, 2002 in support of Shaun Guerin's new album on Clearlight Music. Rocket Scientists will play a 70-minute set of music from their three studio albums followed by a set from Shaun's band.The concert will take place at the Thousand Oaks Civic Auditorium (nice place!) and will begin at 7:00 PM. Tickets are available through Ticketmaster. For more information, please visit the Clearlight Music concerts page. (July 8, 2002) Our Photo Gallery has been updated with images from the Lana Lane April 26, 2002 concert at Club Citta in Japan. (June 28, 2002) New US reviews have been posted for the Lana Lane - Project Shangri-La and Garden of the Moon Special Edition albums on our reviews page. (May 23, 2002) Think Tank Media is pleased to announce our new trade-in program. You can send us any Think Tank Media title or Think Tank Media licensed title (except the samplers) and receive an $8 discount on your purchase of any title on this website. You can trade in as many titles as you like, but your trade-in quantity must not exceed your new purchase quantity. Jump to the trade-in page for details! (May 20, 2002) The long-awaited new Lana Lane Special Edition titles are now here at the tank. The Curious Goods Special Edition and Garden of the Moon Special Edition double CDs complete the Think Tank Media reissue project of the first Lana Lane trilogy. New pricing has also been issued for all four of the Special Edition CDs as well as for the Japanese imports of the second Lana Lane trilogy. See the newly reorganized order page for details! (May 7, 2002) The European Lana Lane and Erik Norlander concerts scheduled for May 2002 have been cancelled due to an illness. Lana and Erik plan to reschedule their visit for later in 2002, and they deeply regret having to make this unfortunately necessary decision. (May 7, 2002) Lana and Erik send a big THANKS to all who attended their concerts at the Troubadour club in West Hollywood and at Club Citta in Kawasaki. Concert photos will be posted soon. (March 27, 2002) We have posted a new review of the Lana Lane - Project Shangri-La album on our reviews page. (March 27, 2002) Lana Lane and Erik Norlander will play a special concert at the world famous Troubadour club in West Hollywood, California on Monday, April 22, 2002 to launch their 2002 world tour. Showtime is 9:00 PM, doors open at 8:00. The next concert will be at Club Citta in Tokyo (Kawasaki), Japan on Friday April 26. (February 4, 2002) Lana Lane - Project Shangri-La is now available as a Japanese import here at the tank. Click here to read the press release and liner notes, or click here to order. (January 22, 2002) The new Lana Lane album, 'Project Shangri-La', will be released tomorrow in Japan. The Japanese import version will be available for purchase here at the tank on February 5, 2002. The European and American version will be released later in February. More details to come. Stay tuned! (November 22, 2001) Our Photo Gallery has at last been updated with images from the Lana Lane and Erik Norlander 2001 European Tour as well as from Erik Norlander's solo appearance at the Dutch Alfa Centauri Electronic Music Festival. More photo updates coming soon. Oh ... and Happy Thanksgiving. (November 17, 2001) Two more titles are now sold out and out of print. Neil Citron - Guitar Dreams sold it's final remaining copy last week. This was a Japan-only release, and no more pressings are planned at this time. The other title that is also gone from the shelves is the rare Japanese version of Erik Norlander's Threshold CD which contained one bonus track. However, the popular US version from the Kinesis label is still alive and in good supply here. (November 11, 2001) Erik Norlander's solo set at the first annual ProgWest festival was a smashing success, and Erik even avoided smashing the Mellotron despite some feedback difficulties at the top of the show. Photos should be available soon. (October 10, 2001) Erik Norlander will play a very special instrumental solo set as part of the first annual ProgWest festival in Claremont, California on Saturday November 10, 2001. This will be a similar performance to Erik's recent solo set at the Alfa Centauri Festival in Holland from the Spring of 2001 where he played selections from both of his solo albums as well as some Rocket Scientists material using his modular Moog system from 1967 along with other rare and bizarre instruments. Think Tank Media will also have a dealer table at the festival in support of this event. Please visit www.progwest.com for more information. (September 7, 2001) A new Lana Lane studio album is now in production and is scheduled for a January 23, 2002 release in North America, Europe and Japan. Stay tuned for more details! (July 9, 2001) It finally happened. The Rocket Scientists - Earthbound CD is now officially out of stock and out of print. A re-issue is intended eventually but not planned for the near future. (June 4, 2001) New titles now available! : the deluxe reissue of Lana's debut album in a special 2CD slimline case, the Lana Lane - Love is an Illusion Special Edition. And the limited edition Lana Lane and Erik Norlander European Tour 2001 Souvenir CD (packaged in a full-color six-panel Digipak ) is also now offered here at the tank. (May 23, 2001) Coming soon: the reissue of Lana's debut album in a special 2CD slimline case, the Lana Lane - Love is an Illusion Special Edition. Big color booklet and superb packaging as you would expect from a Lana Lane release. And ... we have some stock left from the Lana and Erik European tour which we will add to the ordering system in the coming days: a special Digipack Tour Souvenir CD with lots of previously unreleased material and great full color T-shirts. (May 23, 2001) Our online ordering system is now online and our offices are once again open now that we have returned from the 'Lana Lane and Erik Norlander' European tour. Lana and Erik send out a special BIG THANKS to all who organized and attended these great concerts. Photos coming soon! (April 7, 2001) Lana Lane and Erik Norlander will begin their highly anticipated and long awaited European Tour on April 27, 2001 visiting Holland, Belgium, Germany, Italy and Spain. The tour continues through late May. Click here for tour dates and venue information. Joining Lana and Erik on the tour are Don Schiff on Chapman Stick, Ed Warby on drums and Peer Verschuren on guitar. Unfortunately Mark McCrite will not be joining the tour due to other commitments. Mark does intend to participate in the next tour, however. 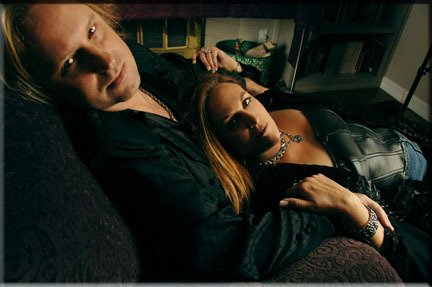 (January 27, 2001) Lana Lane and Erik Norlander were voted the 2000 "Artist of the Year" by Progradio.net. To jump directly to the Artist of the Year page, click here. (January 20, 2001) Happy Birthday Lana Lane! (December 22, 2000) The Lana Lane Ballad Collection Special Edition is now available here on The Tank. 110 minutes of music on two CDs packaged in a slimline jewel case along with a 20-page full-color booklet make this edition a must have for all Lana Lane fans. (December 15, 2000) The release date for the Lana Lane Ballad Collection Special Edition has regretably been moved to December 22, 2000 due to a manufacturing snafu. The units came into our warehouse with the wrong plastic trays and a bad color match on one of the two discs. Since we only want to offer the highest quality product, we have sent the whole shipment back to be corrected. We appreciate your understanding and apologize for the delay. (November 26, 2000) The Lana Lane Ballad Collection Volume Two Japanese import CD is now available here at The Tank. (November 11, 2000) Think Tank Media will release a US domestic version of the new Lana Lane Ballad Collection Volume Two along with her first Ballad Collection from 1998 as a favorably priced 2-CD set. The album will be called "Lana Lane - Ballad Collection Special Edition" and will be released at the very end of November 2000. In addition to all of the songs from both Ballad Collections, Lana's beautiful cover of Marillion's "Seasons End" (previously released in Japan only!) will also be included on the Special Edition. The Special Edition will contain an elaborate 20-page booklet with new liner notes written by Erik Norlander along with all the artwork and photos from both Ballad Collections. An identical version will be released simultaneously in Europe on Pseudonym Records in Holland. More news, a dedicated web page and audio samples are coming soon. (September 25, 2000) Lana Lane has just completed her second ballad collection CD for release in Japan on November 22, 2000. The album is appopriately entitled "Lana Lane Ballad Collection Volume Two" and contains 13 all newly recorded songs - no remixes or alternate versions. The Ballad Collection Volume Two contains 8 cover songs and 5 original tracks, all of which are previously unreleased recordings. Cover art is by Judson Huss, who painted the vibrant Erik Norlander - Into the Sunset cover art. The disc will be available here on The Tank as usual, likely in late November or early December. More information will be posted soon. (September 25, 2000) The Empire Music Art Rock Collection Volume Two is now sold out and is out of print. We are uncertain if Empire Music will do another pressing. However, we still have a few copies left of their Art Rock Collection Volume One CD. (September 25, 2000) Lana Lane - Secrets of Astrology and Queen of the Ocean, the last two studio albums by Lana Lane, have now been released domestically in the USA by Limb Music Products in cooperation with DNA Distribution and are available at major record stores across the country at domestic prices. (August 31, 2000) Rocket Scientists played a 65-minute live set at the Troubadour club in Los Angeles along with Spock's Beard as the "Pre-Progfest" show to open the annual LA progressive festival. Personnel included Mark McCrite (v,g), Erik Norlander (k), Don Schiff (Stick) and Nick D'Virgilio (d) in his first performance with the band. Lana Lane made a guest appearance on two songs: "Mariner" from the Rocket Scienitsts - Brutal Architecture CD and "Fly" from the Erik Norlander - Into the Sunset CD. 20-30 minutes of this performance will be released on the forthcoming Progfest 2000 Compilation CD by the French label Musea. Thanks to Spock's Beard for putting on the Pre-Progfest show, and thanks to Greg Walker, David Overstreet and the rest of the Progfest crew for a great festival in the days following. (June 23, 2000) Our review pages were updated with several new reviews of Lana Lane - Secrets of Astrology, The Best of Lana Lane 1995-1999 and Rocket Scientists - Oblivion Days. (June 19, 2000) Mark McCrite - Getting to the Point, the first solo album from the Rocket Scientists vocalist / guitarist, was released today and is now available for sale here on The Tank directly from Think Tank Media. Click here to jump to our Secure Order Page. (June 18, 2000) Our audio files page has been updated with all of the songs from our new Think Tank Media Volume Two CD encoded in high quality stereo mp3 format. We have also added a new web page for the CD describing each track. (June 16, 2000) Our audio files page has been updated with songs from the Mark McCrite - Getting to the Point CD encoded in mono 28K streaming RealAudio. (June 11, 2000) Our audio files page has been updated with all the songs from the Erik Norlander - Into the Sunset CD encoded in mono 28K streaming RealAudio. (May 30, 2000) From May 30 - October 1, 2000 we are offering special discounted pricing on all of our full-length Japanese import CDs (each $18) and an extra discount on the new Lana Lane - Secrets of Astrology and Erik Norlander - Into the Sunset titles (each $16). Go to the catalog of compact discs for the latest pricing on all titles. (May 22, 2000) Our review pages were updated with 20+ new postings from recent press on Think Tank Media artists. Reviews of Lana Lane - Secrets of Astrology, Queen of the Ocean and Rocket Scientists - Oblivion Days are among the updates. (May 13, 2000) The Think Tank Media Sampler Volume Two CD will be released in cooperation with Progression magazine. The CD will be included free in the June (Summer) issue of Progression which will also feature interviews with Erik Norlander and Lana Lane. The CD features complete tracks from the albums Erik Norlander - Into the Sunset, Lana Lane - Secrets of Astrology, Mark McCrite - Getting to the Point, Rocket Scientists - Oblivion Days and other Think Tank Media titles. (May 12, 2000) Rocket Scientists will perform live with Spock's Beard on Thursday August 31, 2000 at the Pre-Progfest show at The Troubadour in West Los Angeles. More info about the gig will be posted here in the coming months. (May 10, 2000) Rocket Scientists lead vocalist and guitarist Mark McCrite will release his first solo album entitled Getting to the Point on June 19, 2000. The album is a pop/alternative effort displaying McCrite's sense of melody and harmony. Joining Mark on the album are Tommy Amato (Rocket Scientists) and Derrick Anderson (The Andersons). NOTE: the album is now available here on The Tank. (April 9, 2000) www.lanalane.com went live online at midnight on 9 April 2000. An exclusive interview with Lana is presented as part of the site launch. (December 1, 1999) The Best of Lana Lane 1995-1999 is now available here on The Tank as a Japanese import (there is no US or European version). The album highlights the best tracks from Lana's first release in 1995 through her 1999 "Queen of the Ocean" album. Superbly packaged and elegantly presented, the album also includes a fantastic live version of the prog classic "In the Court of the Crimson King" recorded in 1999 in Tokyo, Japan. (November 1, 1999) The new Rocket Scientists - Oblivion Days album is the band's third studio release and their most adventurous to date. The Japanese import version of the album is now available here on The Tank. There is no US version of this album.